Vanessa Williams & Cuba Gooding Jr.
Actress Vanessa Williams and actor Cuba Gooding, Jr. discuss their Tony Award-nominated Broadway show “The Trip To Bountiful" join the ladies of The Talk on Friday, May 17, 2013 on the CBS Television Network. 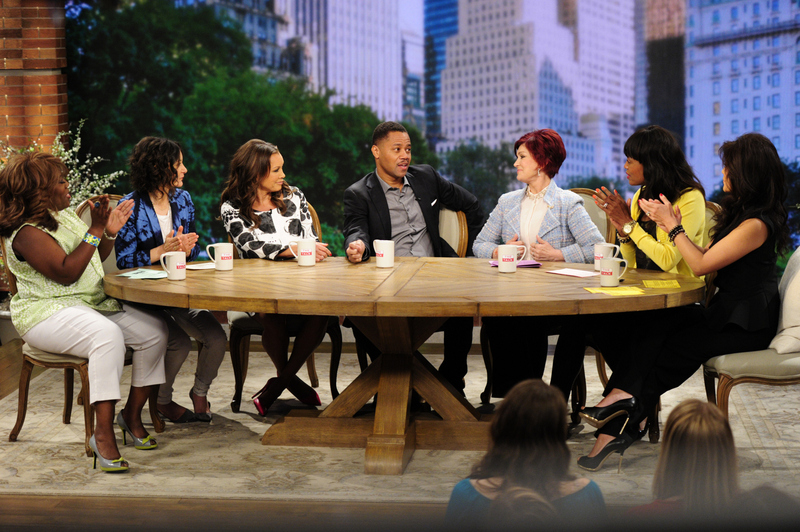 Sheryl Underwood, from left, Sara Gilbert, Vanessa Williams, Cuba Gooding, Jr., Sharon Osbourne, Aisha Tyler and Julie Chen, shown. Photo: John Paul Filo/CBS ©2013 CBS Broadcasting, Inc. All Rights Reserved.